Your twins are not the same. As you’ve seen (or will discover), they are unique individuals and will develop differently. What this means is that you may have one twin who is really good at something while the other lags behind. This will start early with key developmental milestones like crawling, walking, and talking. However, you need to remember to only compare them to themselves and the progress they are making and not against each other or singleton children of the same age. 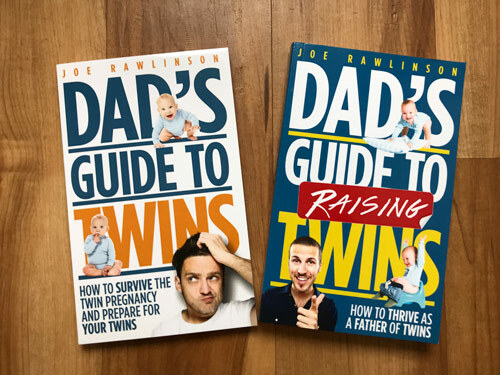 As your twins get older, the differences between them will have challenging scenarios. Here are three examples of how this has played out in our family. One of our twins takes a little longer to process learning and information than the other. This causes one girl to get done quickly with homework or reading while the other gets frustrated at her progress AND the fact that her sister is already done. We’ve had to help our struggling daughter in various ways. First, we worked with the school to make sure she was getting the extra support, tutoring, or time she needed. Second, we spend one-on-one time with her to read together and help with homework. If one of your twins is struggling academically, be prepared to praise the success of one while supporting the other along the journey of learning and discovery. One of our girls seems to make a lot of friends very easily while the other struggles. This has spawned some jealousy as they compare themselves to each other. Here we’ve had to help one of our girls realize that she did in fact have friends. Think quality over quantity. We reminded her that some people make lots of friends while others have fewer “best” friends but they have closer relationships with them. When our girls were still preschool age, we signed them up for soccer. They were both extremely excited leading up to the first practice and games. Each had fun getting the shin guards and gear. However, at the first game one of our girls was completely frustrated with not being able to play well and refused to finish the game or play soccer again. On the other hand, her sister loved soccer and did well. Sports can be a challenge for twins because each may have physically different capabilities or interests. Maybe soccer isn’t one of your twin’s favorites. Perhaps dance class, volleyball, or running is a possibility. 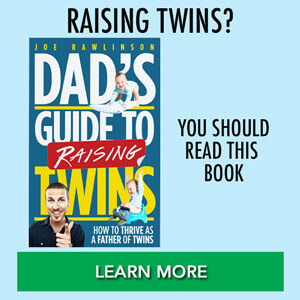 What if one twin doesn’t even want to do sports? That’s fine. There are plenty of ways to help them stay active and healthy. Take walks or family bike rides or go hiking on a Saturday with the kids. When there are obvious differences betweens twins, it can lead to the twins comparing themselves. Unfortunately, when twins compare themselves to each other, it can lead to envy or heartbreak. 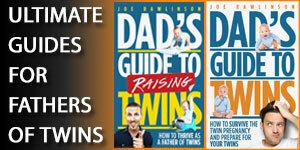 As a parent, you need to step in to support your twins without solving their problems for them. One of the most challenging aspects of parenting is helping your children learn from their mistakes and experiences. 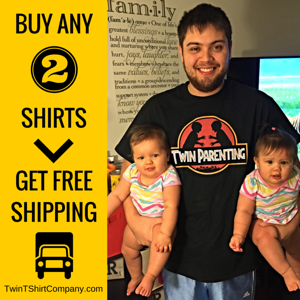 Tell your twins that you love them. No matter what happens, this must be constant. Remind each child of all their great qualities. 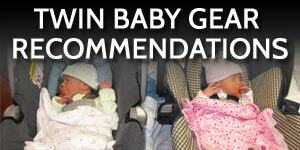 Since each of your twins have their unique strengths and interests, focus on what they like and are good at. Don’t try to force them both to do the same thing just because they are twins or it is most convenient for your schedule. It is OK to be different. Embrace the differences in your twins. 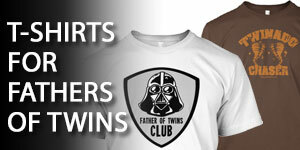 When one twin excels at something, celebrate those achievements. When your other twin struggles along, support her and focus on what is possible without comparing to her twin. What have you seen in your home? 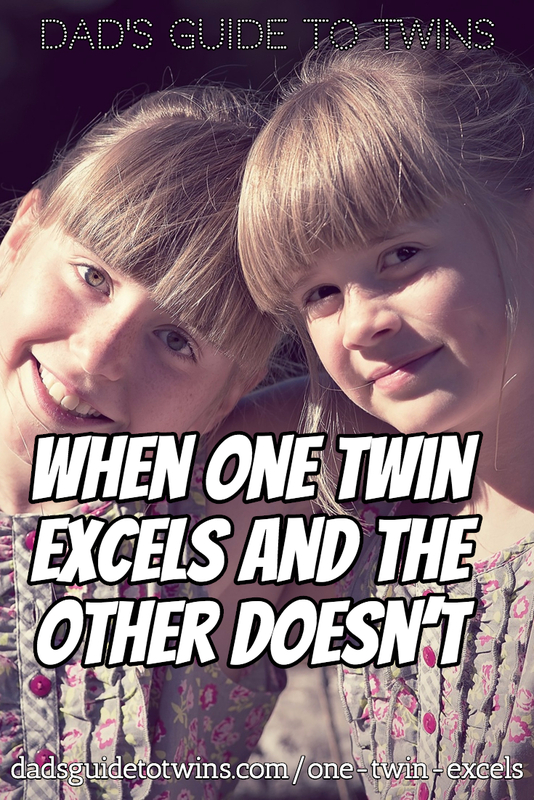 When has one twin excelled and the other struggled? What did you do? Share your experience in the comments below.